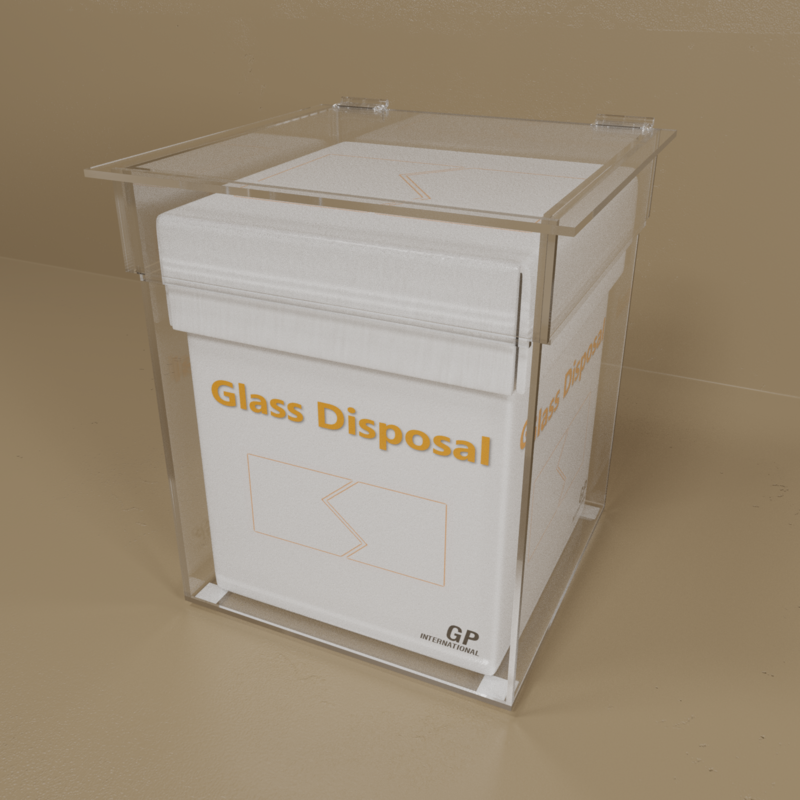 Table top, waste box ,acrylic holders are ideal for disposing of small objects or sharp objects and leaking fluids. Clear sides allow warning symbols and biohazard bags to be seen. Each unit has a hinged lid for easy disposal of waste. Lids are removable for removal of contents. 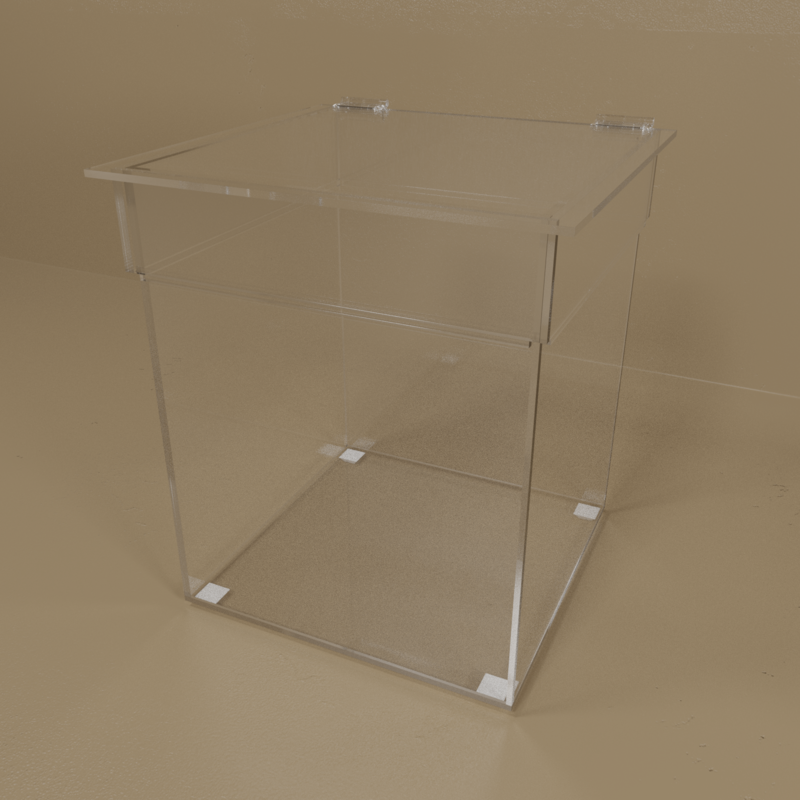 All are made of heavy duty, 3/16" clear acrylic. 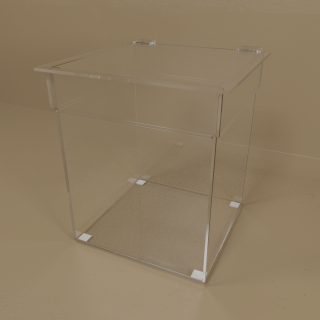 This is designed for a 8" x 8" x 10" box.